In today’s video blog, Colton gives you a glimpse into one of the most popular on-campus attractions for Riddle students… The UAS club! For more information, comment below to get in contact with someone! Stay tuned for more exciting videos about life at Embry Riddle and its surroundings. I could sit here and try my best to write down my experiences from my Freshman year, but that sounds pretty boring. So instead I made this video! Check it out to see my Freshman experiences and tips! As you can see, I had an absolute blast my first year in college. I can’t wait to see what adventures and opportunities I take part in in Fall 2015! So today we were all pleasantly surprised to see some snow! It wasn’t snowing when I went to PT this morning but, it sure was when I headed off to class this morning! Take a look at our gorgeous campus in the snow!! My view from the upperclassman dorms this morning. It usually snows anywhere from one to six times during the winter here in Prescott and its the first time that quite a few of our students get to see some snow! With that said, when you are thinking of attending our University take the climate into consideration as well. We have relatively mild winters and fantastic summers with the average temperature in the high 80’s. If that is something you would like then Embry Riddle Prescott is the place for you! Sign up to take a tour today!! For some students it may be easy just to attend class and ace all the exams and for others like myself, this would lead into a down fall with grades. So today I will go into a few personal tips on keeping up with all the course work in order to maintain good grades. When it comes to engineering courses at Embry-Riddle there is work to do outside of the classroom. Most of the time it will take more then just attending class to pass with good grades. The most significant tool I use to study and keep on track is homework. When you keep up with homework it becomes easier to stay on top of everything. It also helps retain the information for when the exam comes around. The next step is to be sure you attend class and… pay ATTENTION… it isn’t enough to not skip class but to attention is the key. Sometimes teachers may be less than exciting but the knowledge they hold is essential to the learning process. The last thing I would say is to take a break when you feel like you need one, even if its barely Tuesday and you’re feeling way too stressed or unfocused to do anything. It’s okay to relax for a bit, in fact, it’s crucial to improving your performance when you’re tired or not focused. So keep your head in the game and remember why you are doing all this hard work. Stay motivated! Thanks for reading. Ready to get your race on? I know I am. I am sure everyone has heard of the Tough Mudder by now and if you don’t already know the Ragnar relay race is like it but harder. Be prepared to get pumped! Ragnar is an overnight running relay race. The Ragnar trail series consists of teams of 8 that complete 120 miles over the course of two days and one night. Yes this means you get to camp out! But camping and running is only half the fun! Not only is this relay race based on a team objective. At the race there will be live music, bonfires, food and it brings together thousands of awesome people each year. Click on the link to check out the Ragnar page for more information. I decided to do the Ragnar trail series in November at McDowell Mountain with a buddy that is in USMC (PLC) Platoon Leaders Class with me. As a student at Embry-Riddle you will meet a lot of great people with some different and some very similar interests. This is a great scenario where you will meet people that will get you excited to reach out and push your limits! Its a great experience! I encourage you to take advantage of opportunities like this. At Embry-Riddle you will find a lot of chances like this arise which is what makes it a great place to attend college. I will also run with my buddy who is a part of Team RWB (Red White Blue). A Veteran nonprofit organization that helps veterans across the nation in a plethora of ways including coming together and running marathons or exciting events like the Ragnar. So check it out! Grab a couple friends and hit those trails! I can’t wait to get started next weekend! Ill keep you posted after the run and let you know how it went! Thanks for reading. One topic that may strike your interest as an incoming freshmen is “What is it like to live off campus?” You might wonder what are the pros and cons? Well I’ve got some good news for you! Today I will go a bit into the differences of living on and off campus. Living off campus is a BIG step! You have to keep tabs on your bills and make sure you’re roommates are all in and responsible! So now to the fun part, as I currently live off campus I have a bit of insight to share. The best thing about living off campus in my opinion is the home feeling you get. Every morning you wake up in your own bed and have breakfast in your kitchen. You have your own room again! Now for the cons. Sometimes you may be forgetful, leading me into my biggest problem. If you live 15 to 20 min. away from the school then chances are you don’t want to waste time or money on gas driving back because you forgot something very important. Well by living on campus you can completely eliminate this problem because it takes maybe 5 – 10 min. to walk to your room and back to class. Of course the big decision is yours to make after your Freshman year. I know some prefer the convenience of living on campus but some like myself are willing to give up convenience for my own apartment. Wow! What a crazy week. If you don’t already know this past week on Thursday Embry-Riddle, Prescott campus held the school year’s first career expo. Followed by that starting on Friday was OctoberWest. Today I will go a bit into the career expo, and my next blog will be about OctoberWest. As far as the career expo goes, for those whom never been to one I will give you a short description then I will discuss about this year’s expo. A career expo consists of companies looking for interns, co-ops, or new employees. Usually career expos happen on a school campus. 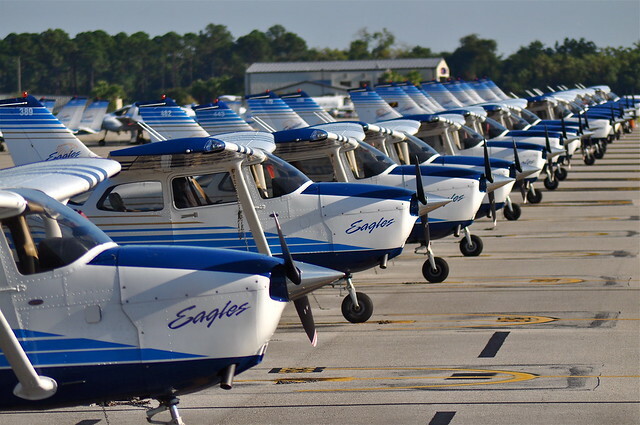 For instance at Embry-Riddle we have companies ranging from Garmin AT, Boeing, Honeywell, Edwards Air Force Test Center to the FBI and to Airlines looking for pilots. As an example this year Honeywell was only looking for Electrical-Engineer interns but Boeing was looking for a wide variety of Engineer interns. Career expos are mostly if not always a professional environment, this means you need to dress appropriately (suits, business formal, etc…). Fortunately for me I happen to be studying Electrical Engineering which is one of the most desired degrees of study at the moment. Most engineering companies are looking for experienced and knowledgeable young men and women. So if you are a freshman that has yet to take any higher level engineering classes, you are probably out of luck. But this is a great chance for you to connect with companies, learn what they’re about and make connections within the industry. If you are a junior or senior your chances of obtaining an internship or a job are greatly improved. For those looking for a job/internship, it is customary to research the companies you plan on talking with. This shows you are very interested in there companies and you won’t be wasting their time. So the next time the career expo comes around don’t forget to attend no matter what year you are in, learn about the atmosphere and what to expect and how to act. Thanks for reading! Tomorrow I will update you on OctoberWest so stay tuned.